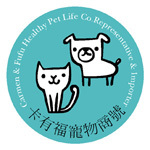 Carmen & Fufu Healthy Pet Life Co. Even though working and service are our first priority. But without rest part of life, they become meaningless. So we keep weekend for family. Thank you so much for your kindness understanding.